Down in New Orleans, eating black-eyed peas and cabbage on New Year’s Day is a MUST. Every year since I was a child, my grandmother always made these dishes and made sure that everyone in the family ate at least a spoonful of each to insure that we would all have a healthy and prosperous year, guaranteed. 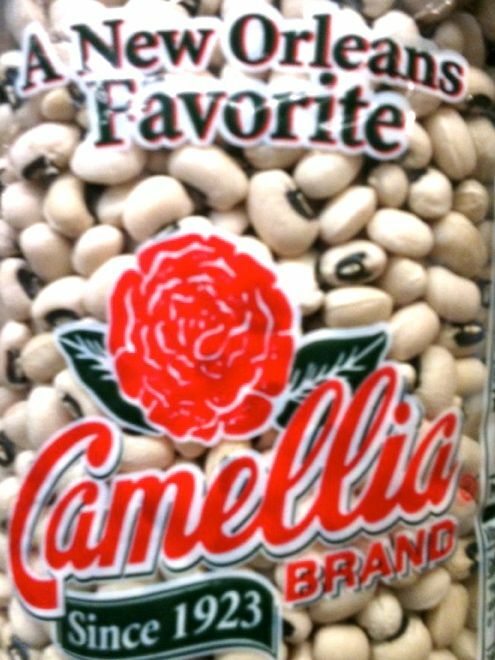 Here is my version of the family recipe for the black-eyed peas. Make a pot to start your year off right. Saute the onion until soft in olive oil or butter. Once the onion is soft, add chopped garlic. Saute for 1-2 minutes (careful not to over cook the garlic). Add the beans and 5 cups of water. Add the ham hock and dried herbs, salt, and Tony Chacere’s to taste (start with 1 teaspoon of salt and 1/2 teaspoon of Tony’s). Cook on medium-low for an hour or more and check them every 20-30 minutes to make sure there is enough water or stock (just covering the beans). Once the beans are soft, if you need to thicken them, take out 1 cup of beans and blend it and add them back into the pot of beans.